April 10, 2016 – Mister Journalism: "Reading, Sharing, Discussing, Learning"
Lawyers for Gov. 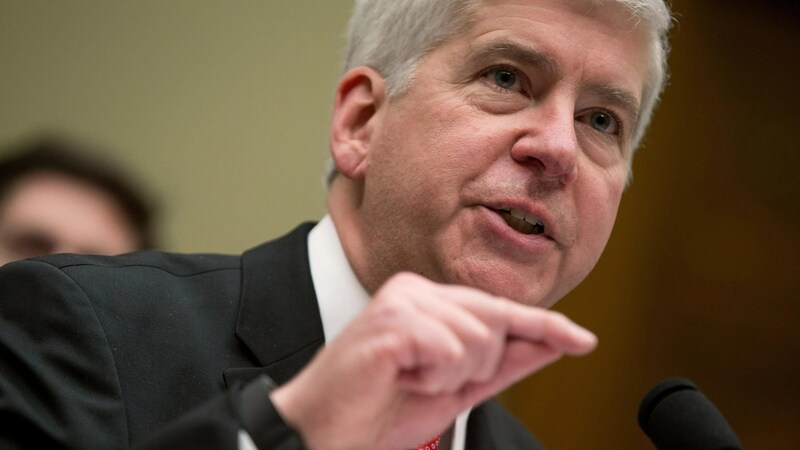 Rick Snyder want a proposed class action lawsuit filed by Flint residents over water contamination dismissed because it was not filed within six months of the city’s April 2014 water switch. Filed Monday in the Michigan Court of Claims, Snyder’s attorneys argue that plaintiffs Melissa Mays and nine other Flint residents filed their claim for damages on Jan. 15, 2016, when the “cause of action” occurred — use of the Flint River water without corrosion treatment — on April 25, 2014. The lawsuit says either the claim itself or a notice of intent to file the claim must be filed within six months of the event that gave rise to the cause of action. “Plaintiffs did not give timely notice of their claims. There is no legal basis for extending the notice period,” the complaint said. Mays sued Snyder, the Michigan departments of Environmental Quality and Health and Human Services as well as two of Flint’s former emergency managers — Darnell Earley and Jerry Ambrose — seeking damages for living in a city with a poisoned water system. Tracking a candidate’s progress requires more than straight delegate counts. We’ve estimated how many delegates each candidate would need in each primary contest to win the nomination. See who’s on track and who’s falling behind. Code Switch : NPRSome Blacks Did Support Bill Clinton’s Crime Bill. Here’s Why. This week, Clinton defended the measure, which has been criticized by Black Lives Matter protesters. In the way only he can, former President Bill Clinton has walked back his confrontation with Black Lives Matter protesters earlier this week. “I did something yesterday in Philadelphia that I almost want to apologize for,” he said, before attempting to turn the whole thing into a lesson about the need for civility in politics. The spectacle of the former president shaking his finger during a tense back and forth with BLM demonstrators was a bad look for him, and a distraction for Hillary Clinton’s campaign. But at least on one level, his defense of his 1994 Violent Crime Control Act was true; it did have some support — or tacit approval — among black leaders and citizens. Clinton described the harsh sentencing provisions — especially the ones connected with crack cocaine that disproportionately hurt African-Americans — as an unpleasant but necessary compromise with tough-on-crime Republicans. This response struck me as incomplete and self-serving, but also true. The young people shouting at Clinton today grew up in the shadow of problems they — and many researchers — trace to the 1994 crime bill: the stop-and-frisk approach to law and order, frequent incidents of excessive police force, and long prison sentences for non-violent drug offenses that condemned the incarcerated to poverty and second-class citizenship when they finally got out. “Beauty is only skin deep,” but for the CIA, even a thin layer of skin is enough to profile your DNA. Exfoliate daily, says your dermatologist, and the CIA agrees, because it would like the top layer of your skin for DNA identification. This week, Lee Fang profiles Skincential Sciences, a firm that has quietly attracted interest from the intelligence community. The company’s technology, which treats skin blemishes, is now receiving funds from the CIA’s venture capital arm, according to a document obtained by The Intercept. A company with an innovative line of cosmetic products caught the attention of Oprah’s lifestyle magazine and beauty bloggers. Now the CIA is involved, too. By using the Espionage Act against journalists and officials who leak to them, Obama has created a precedent for the next president to do more damage. “The deeper scandal is what’s legal, not what’s not,” the ACLU’s Jameel Jaffer said of the NSA revelations. The same is true of the corrupted political systems exposed by the Panama Papers. Despite a complete lack of evidence, Donald Trump’s supporters have come to accept the idea that protesters who jeer their candidate are paid to do so by the likes of Hillary Clinton, Bernie Sanders, and George Soros. Alabama hopes to solve its prison crisis by building new prisons. Critics warn that more riots are likely. All forms of resistance to Israeli occupation — violent and nonviolent — are deemed illegitimate. Even as Clinton questions Sanders over the depth and sincerity of his financial reform ideas, she has big fans among former regulators now working with Wall Street.